Going to a conference of school counselors is not unlike going to your own birthday party, wedding, etc. The focus is on you, or, in this case, your profession, 24 hours a day. Everyone there "gets" you. You live, eat, breath, and "reception" school-counseling for one to four days, and upon returning home go through conference withdrawal in which you rediscover silence, your cat, and conversations that do not involve "achievement gaps" and "evidence-based interventions." One of the many benefits of this annual pilgrimage to the World's Fair of school-counseling is that through the sessions, meet-and-greets, and networking opportunities you are able to gain a perspective on emerging themes in the profession as well as take the pulse of where we currently stand and where there is still work to be done. The bonus of the national conference is that you are gathering this information not just on a local or even state level, but from the perspective of programs and professionals from across the country and even from around the world. Taking the short-view, you can see how what you do within your school and community can impact larger goals. Looking at the bigger picture, you can determine if you have the capacity and the time to make larger contributions at the national level. This year, I felt one theme emerge fairly quickly: We have come a long way and are looking towards the future. So many of the sessions and conversations this year were centered on "next steps" for the profession of school-counseling. Many schools and districts have adopted the ASCA National Model and are using it to have an impact on students and communities, demonstrating this through data that shows how school-counselors are directly effecting academic achievement. The number of Recognized ASCA Model Program (RAMP) recipients continues to be impressive, and on this year's list many of the schools were re-RAMPing, which says that they have been running data-driven comprehensive school counseling programs for years. What's next? 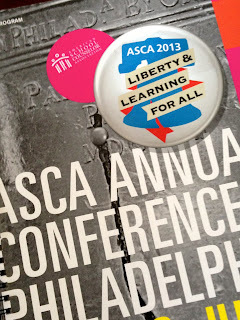 Leadership: A cornerstone of the ASCA National Model, school counselors have always been leaders within their buildings. There is now a text that offers theory and practical work on how to develop these skills specific to our profession. This is exciting information that helps us to not only be stronger educational and instructional leaders, but also helps us to develop into leaders within the school-counseling field. As was repeatedly stated during multiple sessions, school-counselors are the ones with the whole picture in a school--we see it all. This gives us a unique vantage point and opportunity for leadership. Additionally, a new edition of school counseling Ethics and Law was just released. So much of our job lives in the world of "grey" versus black and white. It is incumbent on us to have strong ethical and legal knowledge not just for us, but for our schools. Further, in order to navigate ethically within our schools we must be politically savvy and have strong relationships with students, parents, administrators, and community members alike. We are the ones looked to as leaders and resources when issues arise with student confidentiality, records, technology, and best practice. As such, this is an area of education in which we have the ability to become and assert ourselves as experts. Research: As discussed above, we have grounded ourselves in data-driven practice and are now testing interventions and gathering data on the effectiveness of these interventions. This naturally leads into practitioner-based research so that we can began to establish best-practices and share empirically-supported interventions across the profession. One of the sessions I attended was about three school districts in the U.S. who studied ways to reduce "summer melt," the idea that the number of students at the end of their senior year who state they are attending a two or four-year university is not the actual number who enroll in two and four-year schools the following fall. In some instances, large percentages of students are "melting" away over the summer due to a lack of information and guidance on the final processes needed to fully enroll and start in college. These three school districts all tested programs that took place the summer between students senior year and first year of college involving text-messages, information send-outs, and meetings with student and parents to include finalizing financial-aid packages and plans. The data from all three districts showed a reduction in the amount of "summer melt," and is something that all school districts could look to as a model. Additionally, I was able to participate in a session entitled "Data and Research" in which 14 counselors shared information about specific interventions, grounded in outcome data, that were shown to have a positive impact on student achievement. These ranged everywhere from small-groups focused on reducing discipline incidents to school-wide efforts to decrease unexcused absences and tardies amongst its students. These types of researched interventions are important not only as contributions to the school-counseling research cannon, but also as a means of continuing to establish our profession as one that is necessary to schools and student success. Education and Mentoring: Finally, we need to look at ways that we are paying it forward for the next generations of school-counselors. How are you sharing your knowledge and expertise in the field with those who are coming up? Whether you've been a school-counselor for six months or six years, your perspective is valuable and could help someone who is considering entering the field or someone who has been in the field but who needs inspiration or support. You could consider blogging about your experiences, as Danielle Schultz and Andrea Burston shared in their session. I attended an excellent session, co-presented by three counselor educators, one of whom was fellow blogger Dr. Erin Mason, about continuing your own education and becoming a counselor-educator at the university level. Things to consider: CACREP status of the school, Ed.D or Ph.D, length and format of the program, future earnings potential. Bonuses: Researching and teaching what you are interested in, mostly in charge of your own schedule/time, ability to impact large systems of people/schools/communities, ability to serve on state and local boards/organizations. Additionally, as was discussed in multiple sessions, getting involved at the state level and mentoring other school-counselors, whether you help them to formulate strong SMART goals or are serving as a RAMP resource, can help you to share what you have learned over the years in a way that can both teach and support someone else. It is an exciting time to be in school counseling. However, not for everyone. I also attended a session on helping undocumented students find pathways to two and four-year colleges. If you are someone who is in high-school counseling or follow the admissions process, you know these resources are constantly being sought by school-counselors around the country. Thus, this session was packed. The presenter, a high-school counselor, had spent many years developing relationships with area colleges and universities as well as building partnerships with professionals in immigration law in order to serve her students and provide them correct information. She knew the nuances of everything from registering her students for the SAT/ACT to navigating the very complex world of financial-aid/scholarships. She also informed us that as she was a school-counselor in Philadelphia, she currently did not have a job. 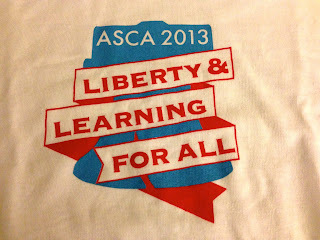 This was the other world at the ASCA Conference. At the same time that so many of us were having animated conversations about the next-steps we could take in leading our schools and school district or getting excited about mentoring a fellow school-counselor we had met over lunch, the backdrop was Philadelphia, a city and school system wrenched apart by difficult budget choices, the collateral damage of which was laying off school-counselors, fine-arts teachers, and instructional assistants. 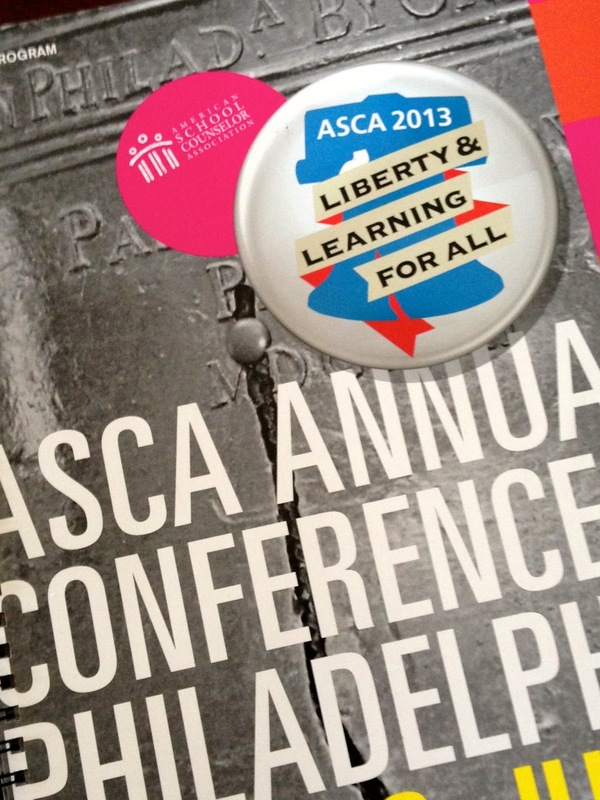 The ASCA Conference held a session to share information about school-counseling and the situation in Philadelphia with members of the media and various political entities. The summer will tell if there is any resolution to the layoffs. My mind comes back to the students in Philadelphia or in Chicago, a city also experiencing closings and layoffs, who have lost the resource of their school-counselor. Our urban schools are often those with the greatest need, and school-counselors are the ones able to assist students with personal/social issues that may be impacting academic achievement, and they are invaluable resources for connecting students to post-secondary opportunities, just as the presenter above has done for many years. There is no way to replace that kind of expertise, and one has to wonder just what will become of these students in the future when they have lost that advocate and knowledge-base to help them attain their goals. As a profession, we need to remain with feet firmly planted in both worlds. On one side, the world that continues to dig deeper, taking the lead, building research, and sharing our expertise with other professionals. On the other, the one in which our colleagues are at-risk of losing their jobs and their students at-risk of losing an educational expert able to help them navigate school and life while setting and meeting their goals for future opportunities. In this way, we are able to celebrate how far we have come, look towards to future, and at the same time be mindful of our responsibility to support and advocate for school-counselors and students the world over. Thanks for sharing your experience, Darrell. I was sorry we were never in a session together, but it's great to find out more about the ones I wasn't able to attend. It was so great to finally meet you in person! It was wonderful to meet you, as well, Rebecca! I'm glad if you found some of my thoughts helpful--stay in touch!